Payal has been in the real estate business since 2016. She joined OneRes International Realty because of its ability to provide customers with everything they need to successfully purchase, sell, or invest in real estate. Her team includes experts in all aspects of real estate from new construction to remodeling. She has excellent inter-personal skills with clients and is an excellent communicator. 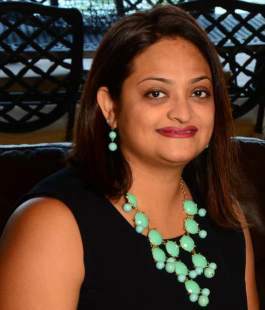 Payal is passionate about the needs and goals of her clients and epitomizes integrity, energy, hard work and creative service in every detail of your real estate transaction. She has a background in the health care field, with a Bachelor’s degree in Psychology and a Master’s degree in Occupational Therapy. Her passion for working with people and helping them achieve their goals in therapy resonates into working with the same enthusiasm for her clients in real estate. In her free time, you will find Payal spending time with her husband, her two beautiful children and their German Shepherd. She loves cooking, spending time with her family, traveling and reading.